CONNOLLY, THOMAS LOUIS, priest, Capuchin, vicar general of the diocese of Halifax, bishop of Saint John, archbishop of Halifax; b. 1814 at Cork, Ireland; d. 27 July 1876 at Halifax, N.S. Thomas Connolly’s father, a Cork retail dealer, died when Connolly was three years old and he was reared by his mother, an innkeeper. Influenced by Father Theobald Mathew, a renowned apostle of temperance, Connolly entered the Capuchin order and in 1832 went to Rome to complete his studies for the priesthood. After his ordination at Lyons in 1838, he worked briefly at the Capuchin Mission House in Dublin and then as chaplain of the Grange Gorman Lane Penitentiary. When Father William Walsh*, a fellow Capuchin, was appointed bishop of Halifax in 1842, Father Connolly accompanied him to Nova Scotia as his secretary. 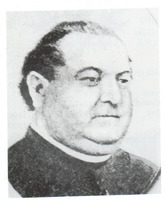 Father Connolly served as a parish priest at St Mary’s Church, Halifax, and, in 1845, was appointed vicar general of the diocese. 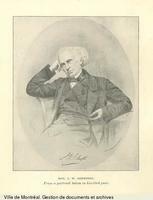 In 1852 he was appointed to succeed William Dollard* as bishop of Saint John. During his seven years in Saint John he encouraged the building of Catholic schools, oversaw the opening of a Catholic orphanage run by the Sisters of the Sacred Heart, and brought a group of Sisters of Charity to Saint John to teach. He also organized the construction of a cathedral for the city. The education bills of 1864 and 1865 brought Archbishop Connolly into conflict with Charles Tupper*. The archbishop strongly opposed the free school system based on compulsory taxation, and demanded instead a system that included separate schools for Roman Catholics. He feared that the school curriculum, which, under the new law, was to be controlled by the Council of Public Instruction, would not satisfy the educational demands of Catholics. When Tupper pointed out that the council was to consist of the entire Executive Council and that the number of Catholics in the province would ensure their adequate representation on it, Connolly assured Tupper that the bill “. . . shall have my support.” His sensible and realistic attitude towards Tupper’s ideas prevented a major conflict between the Roman Catholics and the provincial government. The agreement between the two led to the achievement of separate schools in practice if not in theory – an arrangement which has continued to the present without the conflicts that have plagued more formal arrangements in other parts of the country. 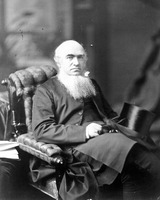 Archbishop Connolly was a strong supporter of confederation. He firmly believed that union of the British North American colonies was necessary and would be beneficial to Nova Scotia. 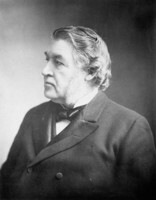 He hoped that confederation would be a means whereby Maritime Catholics might obtain a legal recognition of separate schools similar to that given the Catholic minority in Canada West. 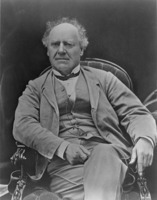 In public debates on the subject of union he used the common arguments for the scheme. His first public utterance appeared in a letter to the editor of the Halifax Morning Chronicle on 13 Jan. 1865, in which he stressed the commercial advantages Nova Scotia would have as part of a larger community. 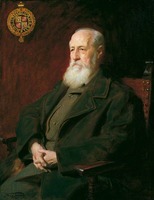 At the end of the year he wrote an open letter to the lieutenant governor of New Brunswick, Sir Arthur Gordon*, by means of which he reassured non-Catholics that the Irish Roman Catholics of British North America had nothing to gain from the Fenians, “that pitiable knot of knaves and fools.” He also used the Fenian threat as an indirect appeal in support of confederation for defensive purposes. He recognized that the life of Irish Catholics in British North America left much to be desired because of Protestant and Orange sentiment, but felt that their position was still superior to that of Irish Catholics in the United States. 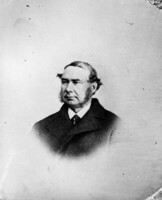 Connolly’s efforts to obtain educational concessions for the Catholics in the Maritimes took him to the London conference of 1866–67. The colonial secretary, Lord Carnarvon [Henry Herbert], Hector Langevin*, and many other Canadian delegates sympathized with his requests but the final initiative lay with the Nova Scotia delegates. Tupper remained firm in his opposition to separate schools, and the archbishop’s demand was not granted. 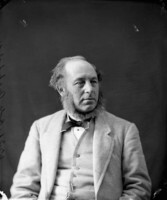 His attempt to have Tupper introduce separate school legislation in the House of Assembly in April 1867 also failed. Nevertheless, prior to the federal and provincial elections of 18 Sept. 1867, Connolly used an open letter to urge the Catholics of Halifax to vote: “The Whole Union Ticket – The Whole Five and Nothing but the Five.” The city, with its large Roman Catholic population, voted for the union candidates, but the county polls overwhelmingly endorsed the Nova Scotia party candidates, giving them a sweep of the two federal and three provincial seats. 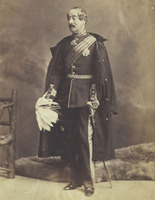 Despite this set-back Connolly continued to labour on behalf of confederation. His correspondence with John A. Macdonald* and Tupper is filled with his impressions of various personages and advice on how to enlist their support. He was constantly seeking favours for those who had served the cause of confederation, regardless of their religious affiliations. 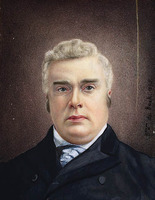 During the election campaign of 1872 he was the subject of a bitter attack by the Morning Chronicle because of a letter he wrote to Tupper in which he not only endorsed the policies of the Macdonald government but also gave Tupper permission to use the letter as he saw fit. In his reply to the Morning Chronicle editorial Archbishop Connolly defended his right as a citizen to take part in politics and accused the editors of trying to promote religious unrest. After this episode, however, he never again became publicly involved in politics. In his efforts to promote the Catholic faith in the archdiocese he built numerous schools, churches, and a seminary where young men were trained for the priesthood. He also brought the Christian Brothers (Brothers of the Christian Schools) to teach in the diocese and increased the number of Sisters of Charity teaching in the schools. 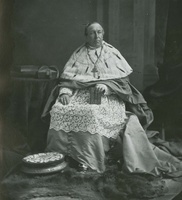 Archbishop Connolly joined Bishop John Joseph Lynch* of Toronto and Coadjutor Bishop Louis-François Laflèche* of Trois-Rivières as Canadian representatives to the Vatican Council of 1869–70. Connolly was a member of the minority who opposed the infallibility definition introduced at the council. He firmly believed in the principle of papal infallibility but felt that the political climate was not right for the church to confirm the doctrine. Connolly left Rome before the final vote was taken, but he quickly acquiesed in the majority decision. [At one time there was reported to be a substantial collection of Connolly’s correspondence at the archives of the archdiocese of Halifax. Supposedly this collection was stolen by “an Englishman” nearly 20 years ago, and the authorities have never recovered it. The largest collection of Connolly’s letters was discovered at the archives of the diocese of Bathurst, N.B. (over 60 letters to one of his closest friends, Bishop James Rogers*). Another equally large and important collection was found among the papers of Abbot Bernard Smith, a Benedictine and member of the faculty of the American College in Rome. Smith was Connolly’s contact in Rome and represented him at the Vatican. A smaller collection was found among the papers of Bishop John Sweeney* of Saint John, N.B. Public letters are in: [T. L. Connolly], “The archbishop of Halifax on the Irish in British and in republican America,” in T. D. McGee, The Irish position in British and in republican North America: a letter to the editors of the Irish press irrespective of party (2nd ed., Montreal, 1866), app.B; Morning Chronicle (Halifax), 14 Jan. 1865; Evening Express (Halifax), 16 Sept. 1867; British Colonist (Halifax), 30 Aug. 1872. An obituary is found in Acadian Recorder (Halifax), 28 July 1876. See also: “The late archbishop of Halifax, Nova Scotia,” Catholic World (New York), XXIV (1876–77), 136–42. F. J. Wilson, “The Most Reverend Thomas L. Connolly, archbishop of Halifax,” CCHA Report, 1943–44, 55–108. David B. Flemming, “CONNOLLY, THOMAS LOUIS,” in Dictionary of Canadian Biography, vol. 10, University of Toronto/Université Laval, 2003–, accessed April 24, 2019, http://www.biographi.ca/en/bio/connolly_thomas_louis_10E.html.